For convenience and looks add to your Fun Pop 8-oz. popper by purchasing the matching Red Popcorn Cart #2689CR. 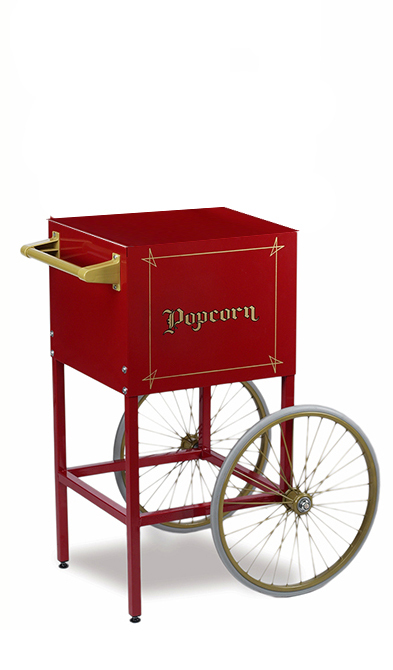 Our popcorn carts are offered in a variety of colors and sizes to fit your popcorn machine. While the popcorn carts are made with the latest technology, they add a classic touch to the overall look. This red cart has rear access door, silk screened "popcorn" graphic, 20" wheels, sturdy welded legs and adjustable feet.